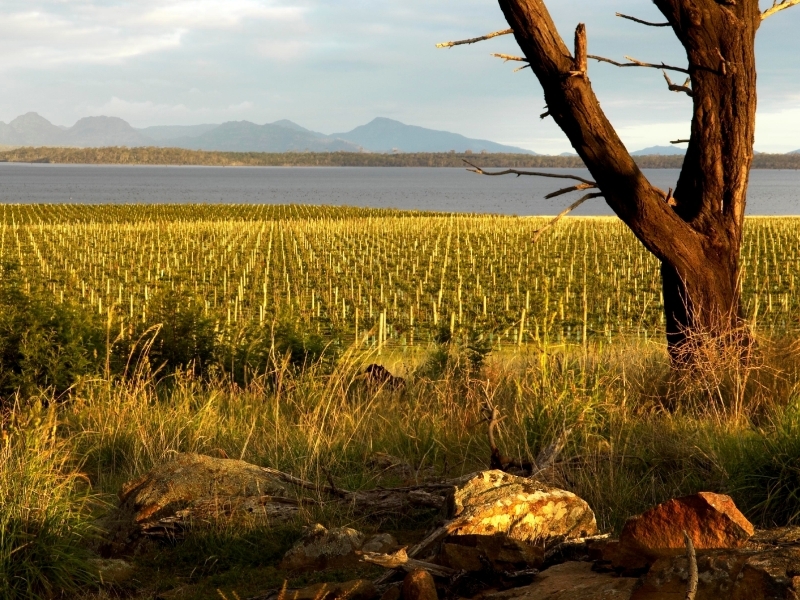 The unique micro climate of this north-east facing valley produces distinctive cool climate wines, medal winning chardonnay and pinot. These wines are aged in French oak. Apsley Gorge Vineyard’s first vintage was produced in 1993, the winemaker was Andrew Hood who continued to make the wines until 1998. The owner Brian Franklin took over the wine making in 1999. Apsley Gorge Vineyard itself is not open to the public, however wine tastings and sales are available from November until the new vintage starts, which is usually after the Easter holiday break. Here you can indulge in more than wine tasting: we have freshly cooked crayfish and local oysters, freshly baked baguettes and gourmet coffee, all to be enjoyed while looking out across the ocean. We also offer a range of products from our local smokehouse and small goods butcher. Wines are also available by mail order.